Apart from dozens of personalization features that make every Android device unique to its user, the ability to install third-party keyboards is what kept the OS at the top. While iOS has also adopted the feature to support third-party keyboards, it does not offer the ability to type using your handwriting with Google Handwriting Input. The feature to type using your handwriting is especially cool when you have the Samsung Galaxy Note’s S Pen to accompany you. 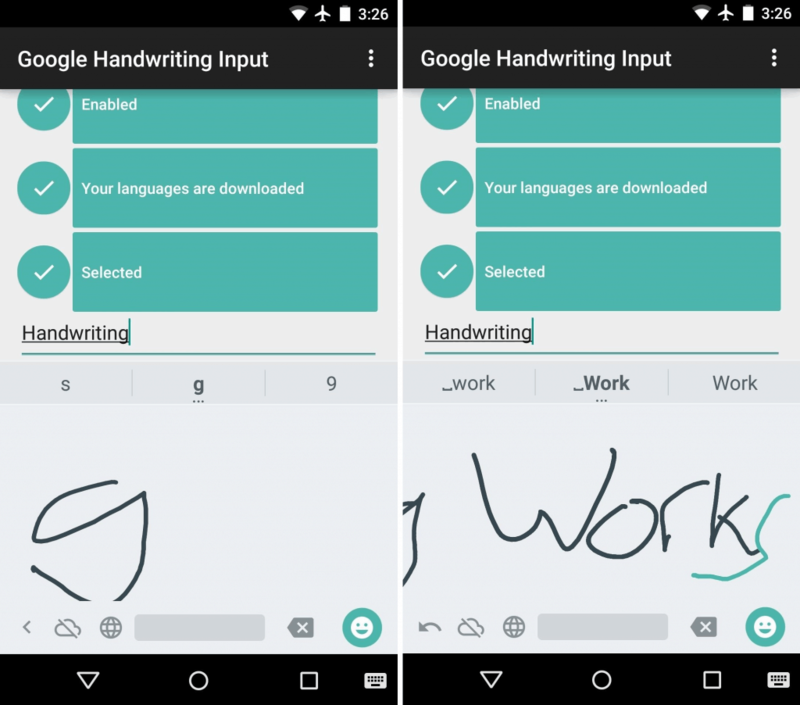 The Google Handwriting Input app is available on the Google Play Store for free, which brings a handwriting window to your native Google Keyboard. 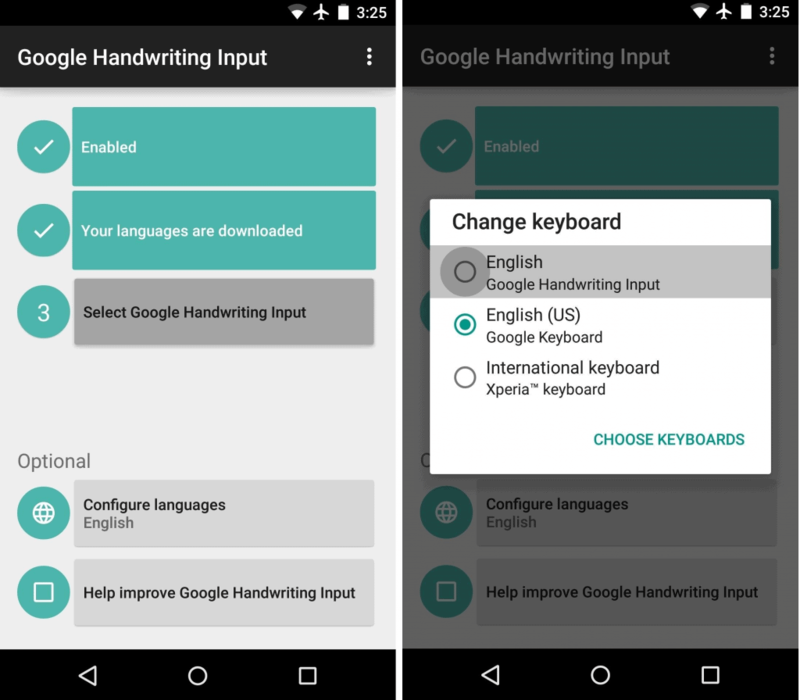 If you want to download any additional language packs for the Google Handwriting Input keyboard, press the second button, or simply continue by pressing the third button “Select Google Handwriting Input” when the “Change keyboard” window pops up. 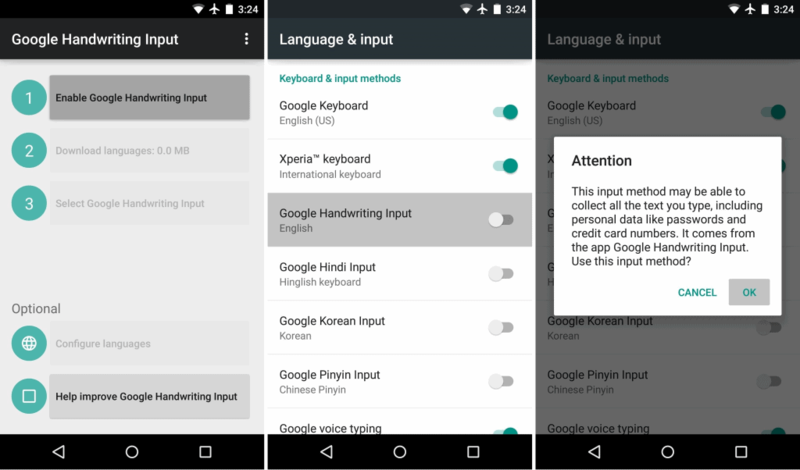 Now that you have set up the Google Handwriting Input keyboard, open up any app that uses the keyboard function. In the empty space where the keys are usually located, start handwriting and see how the app converts it to digital text in the bar above. The app is surprisingly accurate in registering all kinds of different user handwritings. When writing down large words, you can simply write some of it down and then write the rest of it again, and the smart keyboard will register it as a single word.